Kayak Cottage is volledig gerenoveerd met alle nieuwe apparaten, meubels met bedden en matrassen. De perfecte locatie om Nova Scotia's South Shore te verkennen, 12 minuten naar Peggy's Cove, 12 minuten naar Upper Tantallon en 40 minuten naar Halifax. Hoewel dit een nieuwe vermelding is, beheert de zelfde familie die deze eigendom bezit, het Whalesback Cottage in Indische Harbour (een 4. 8/5 beoordeling met 37 beoordelingen). Voel u ook de recensies voor dat huisje te lezen. When travelling in Nova Scotia we usually stay with family in Liverpool but this time we were three of us and we wanted a bit more space. Kayak Cottage caught our eye and we were defnitely not disappointed. We immediately noticed the colourful artwork on the walls. The large kitchen is a gem and made entertaining, and cooking for ourselves, a joy. Lots of cooking utensils and a large quantity of lovely dishes and cookware made our meals a breeze. Location, location, location! Being close to Peggy’s Cove was great and Glen Margaret was a great starting spot for a 1/2 day drive along the coast to Chester for lunch, and beyond. When cars stop in front to take pictures of the sea view across the road, that tells it all. Thank you Tom for your hospitality from 2 seniors from New Brunswick, Canada, + 1 from New Zealand. We stayed at this property for 6 nights while touring the beautiful province of Nova Scotia. It felt like we were staying at our grandparent's place - it was bright, spacious, and beautifully decorated. It was also very conveniently located, close to Peggy's Cove, and Mahone Bay, Lunenberg and Halifax. Tom was very helpful and kind, even came by with some fresh lobsters and mussels for us to enjoy! We felt like we made some new friends with him and his lovely wife! Overall, a great experience! 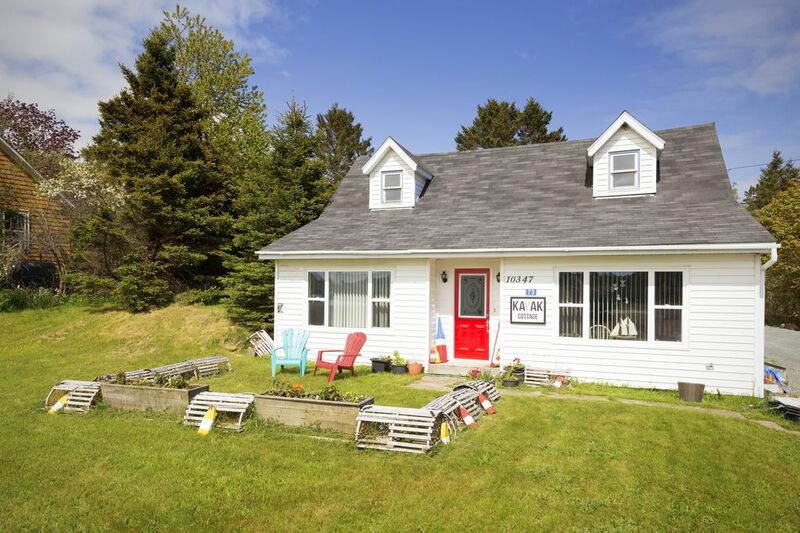 Cute cottage, great location, owner caters to guests' needs and interests! The cottage has lots of space, with new appliances, and comfortable beds, all the amenities, and decorated with lovely artwork and furniture. The location was quiet yet close to grocery stores, restaurants, and tourist attractions. Peggy's Cove is just around the corner and a must see! The owner was extremely knowledgeable about the area, made suggestions that suited our specific interests, and was readily available. The personal touches made our stay even more enjoyable! "We do our best to make our guests feel like family"
No matter what our guests need, as well as questions or concerns, we get the answers asap to keep everything problem free while they visit Nova Scotia. Just back from a wonderful trip around the East Coast and Kayak Cottage was a highlight. Great view from out front of the water; equally wonderful cottage interior- Donna has a real eye for detail, and the rooms (especially her paintings) were just beautiful. Tom is a true gentleman and a wealth of information on how to best enjoy the local area; ferry ride from Dartmouth into Halifax to best enjoy views of the capital, Hubbards beach for white sands and a great place to swim, Peggy's Cove early morning or late evening. If we revisit the East Coast, we'll definitely head back there. Charming cottage, charming couple; went over and above to ensure we enjoyed our stay.